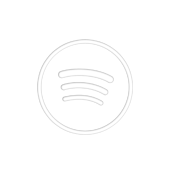 Push your song on one of our premium Hip Hop Spotify playlist with 68k+ followers. Adding track to the Top 5 it will become more visible to listeners and will surely get more streams. There, it'll be streamed 24/7 for 1 month, getting about 1140-2880 streams Daily, 43 200 - 86 400 Monthly with guaranty. Reach 68k and more followers on social media and get your song recognized worldwide.